Andrew Wright has been serving the community since 1937 from its base in Irvine. In 1938, the Company was the main glazing contractor for the British Empire Exhibition, held at Bellahouston Park, Glasgow. The former South Africa Pavilion, with its Dutch Baroque gables was built as a temporary structure at the exhibition before being moved to ICI Ardeer in Stevenston as the staff canteen. After World War II, Andrew Wright Glass won the contract to re-glaze blitz-damaged Belfast. Andrew Wright, the company founder, passed away in the 1940’s leaving the business to his family who continued his legacy until 1986 when the family sold the business on to Sovereign Frames. A senior employee of Sovereign Frames, Mr Charlie Berry purchased the company in 1996. Charlie still owns the Company and remains Chairman of Andrew Wright to this day. 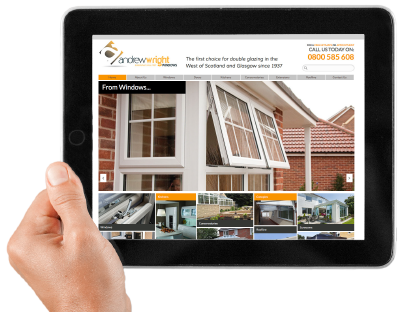 Employing approximately 100 skilled workers between both sites, Andrew Wright Glass and Andrew Wright Windows jointly produce bespoke product and service entirely made in Irvine, making Andrew Wright one of the most important employers in the local area.